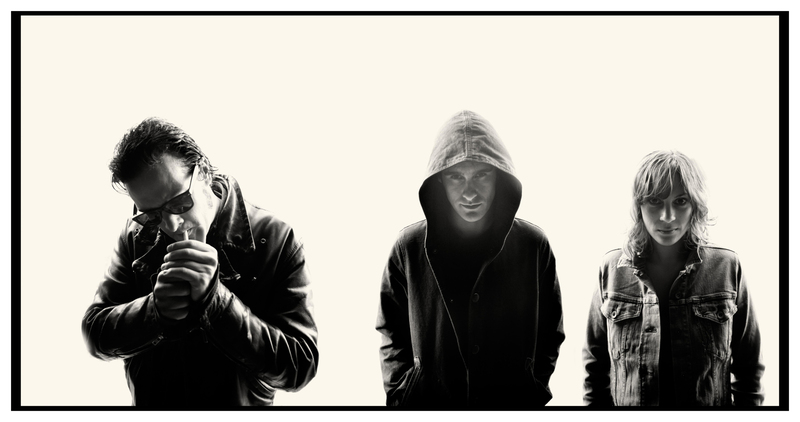 Live Concert Review: Black Rebel Motorcycle Club | True Endeavors Presents: music, tours, tickets, mp3 downloads, concert pictures, videos, Madison WI. thenewno2 is led by Dhani Harrison, son of my favorite Beatle, and Harrison has taken great pains to make music on his own terms. The terms, however, seem to fluctuate regularly and the performance was a difficult introduction to the band as it was hard to pin them to one particular sound. The best moments of the set occurred when guitarist Jeremy Faccone cut loose and produced a crunchy sound reminiscent of Radiohead’s Jonny Greenwood, and the ethereal keyboards of Jonathan Sadoff. Despite trying to watch all of the band my eyes kept getting pulled back to drummer Frank Zummo who often raised his left stick and pointed to the heavens before tearing into the drum kit. Despite mixed feelings toward the live performance, I am intrigued enough to dig further into thenewno2. Black Rebel Motorcycle Club and I had a brief, yet torrid affair in 2001 when I found their first album, B.R.M.C. Subsequent albums never rekindled that flame for me, until Specter at the Feast emerged earlier this year. The band opened with one of the strongest tracks from Specter, The Call’s “Let the Day Begin,” especially poignant given that it was written by the late Michael Been, the father of BRMC’s bassist Robert Levon Been. They followed with another new song, “Rival,” before heading back to B.R.M.C. for “Red Eyes and Tears.” The pattern continued throughout the set, newer songs followed by older, with hardly any chatter in between, for nearly two solid hours. Been’s bass playing was like nothing I’d seen before, ripping off chords and utilizing an octave pedal to simulate a second guitar, and Peter Hayes’s guitar felt like a dozen coming through the speakers. Leah Shapiro on the drums, well, I can’t add anything more than has already been said [fuckyeahleahshapiro.tumblr.com]. Seeing BRMC live gave me an even greater appreciation for the band does, from the incredible noises created by three individuals on their respective instruments, to the vocal combination of Been and Hayes, with a little Shapiro thrown in for measure. With 2013 not quite half gone, I’m still skeptical that another band can top this show yet this year. Dare I say it? Love burns inside me.